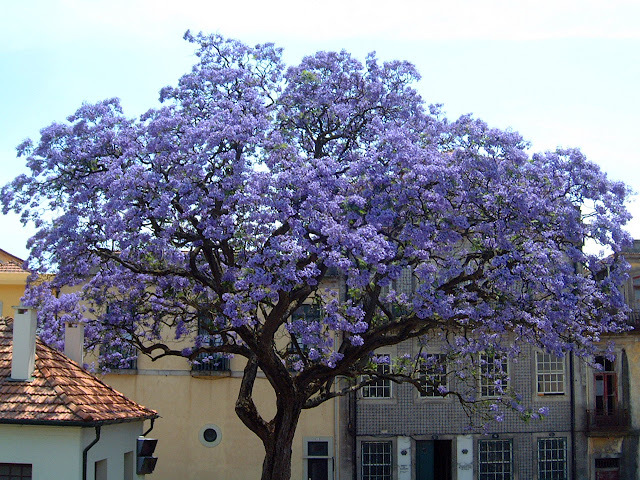 Commonly known as the Foxglove or Empress tree, Paulownia tomentosa is a relatively hardy ornamental flowering tree with an open, rounded habit. 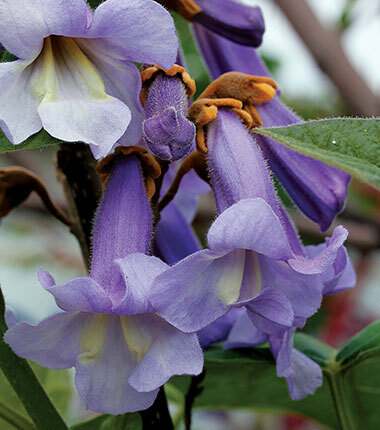 Native to central and western China, it is noted for its foxglove-shaped, lavender-blue blooms which appear in May, and unlike most other garden trees is best viewed from above. However with an approximate, mature height of 9-12 metres this is not always practical. Be aware that while the brown-felted flower buds are conspicuous throughout the winter they can be damaged by late frosts in exposed regions. It is tolerant of pollution and it is not fussy about soil type. Paulownia tomentosa will grow poorly in the shade so always plant in a sunny position. In climates which experience frost always provide a sheltered position protected from strong winds. It will perform best in a deep, well-drained loamy soil. Avoid heavy clay soils unless they are suitably improved prior to planting. Pruning is not usually necessary other than to remove any dead, diseased or dying branches. However if you are planning to coppice Paulownia tomentosa so that it will produce oversized foliage then it will need to be cut back to ground level in March. Any resultant suckers will need to be thinned out to produce a single stem. So vigourous is Paulownia tomentosa that on mature specimens the stem can reach 2.5-3 metres in a single season. The heart-shaped to five-lobed leaves are usually 15–40 cm across, but when coppiced can then be up to 0.6 metres across. Be aware that these larger leaves are produced at the expense of the spring flowers.